Courtesy of the Hana Shirt Company. Eh braddah, howzit? Did you hear that a pidgin word—hammajang—made the Oxford English Dictionary? Wait, you missed it? No worry, beef curry. Pidgin remains one of the strongest and most distinctive elements of culture in Hawai‘i, used in everyday conversation and local advertising. 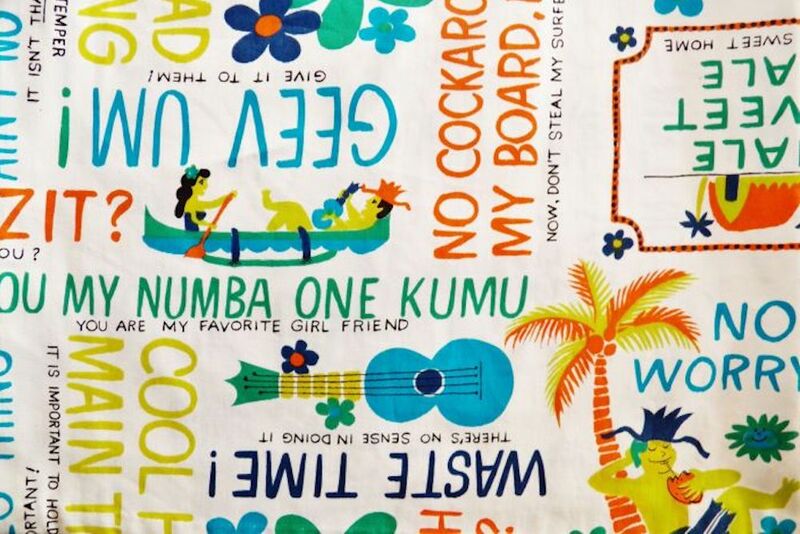 What does the popularity of pidgin say about the history, culture, and class structure of Hawai‘i? How has contemporary immigration changed the ways in which it used? And what explains its persistence in a nation and a world where so many other local dialects have died? Former Hawai‘i Governor John D. Waiheʻe III, co-director of the University of Hawai’i Sato Center for Pidgin, Creole, and Dialect Studies Katie Drager, comedian Andy Bumatai, and California-based sociolinguist and scholar of American pidgins Sarah Roberts visit Zócalo to examine pidgin’s past and present—and how long it will survive.